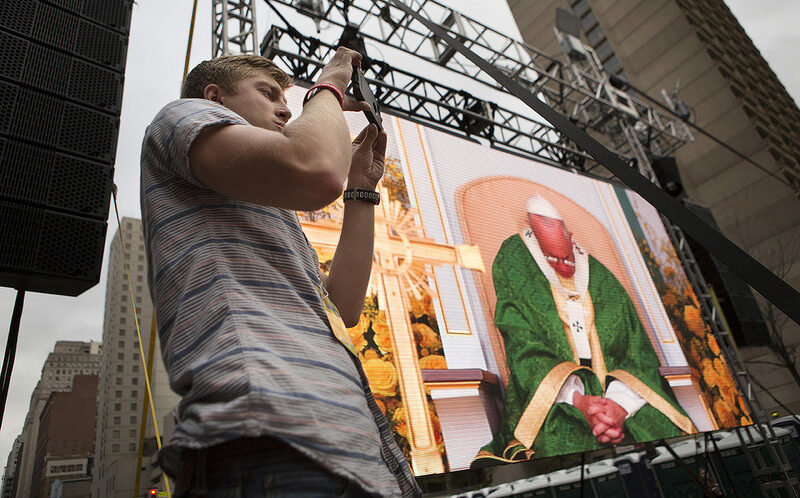 Cameron Hart Periscopes the Pope’s visit to Philadelphia. The popular live stream video capture service Katch died this week. The Katch corpse wasn’t cold in the ground when Periscope co-founder Kayvon Beykpour announced live on Periscope they were working on a solution. Audience reaction was clear when news broke of Katch’s demise. With ‘scopers now used to the convenience of auto-saving content, and heavy competition from Facebook Live, there really was no other course of action. Effective immediately when you use the hashtag #save in the title of your Periscope videos they will be saved indefinitely on Periscope. This is a public beta, and they are working on building the feature directly into the app. Once incorporated into the app you will be able to choose the length of time you want the video to be available, and that could be anywhere from zero to indefinite. When the apps are updated with this new feature the hashtag requirement will go away as it will just be one of the options you select. And links to periscope content created in other apps (Twitter for example) will now remain permanent. Q: Does it work on any of the Periscope apps? A: Yes. As long as the hashtag #save is in the title it will be saved. Q: Does it save from GoPro? Q: Do you need to update your app to use this feature? A: No. As long as the title includes the hashtag #save in the title it will be saved. Q: Will the hashtag #save123 work? A: No. Only works with the hashtag #save. Q: Where are the videos saved? A: Videos are saved on Periscope servers. Q: Can the video be deleted after it’s been saved? A: The originator of the video can delete the video at any time. Q: Will the comments and hearts be saved with the video? A: Yes. You will see the hearts and comments in the replay. So take advantage of this new feature and #save your next Periscope video. Cameron Hart photographs pope by Penn State is licensed under a Creative Commons Attribution-NonCommercial-NoDerivatives 4.0 International License.